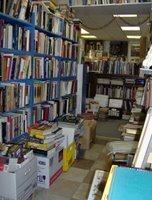 I was diddlying around Gloucester the other day, the last New England day where going outside didn’t leave one gasping like a goldfish on a carpet, and ducked into Bob Ritchie’s Dogtown Books. 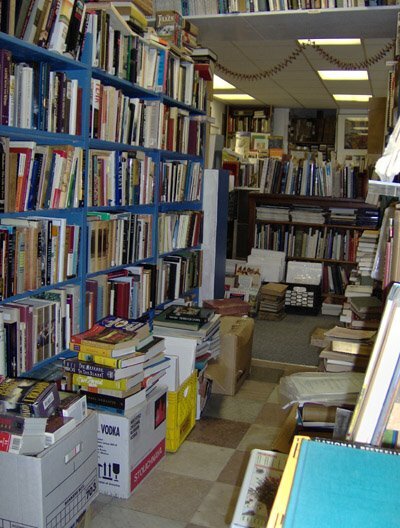 (named after an abandoned inland settlement on Cape Ann) Dogtown Books takes the term hole-in-the-wall quite literally. I found it ‘deliciously squalid’ but not in any unkempt way – there are shelves everywhere but the ceiling and the aisles are not for the corpulent. Some may find that unsettling, personally I find overstuffed bookstores like overstuffed chairs, easy to sink into and damn hard to pull oneself out of. 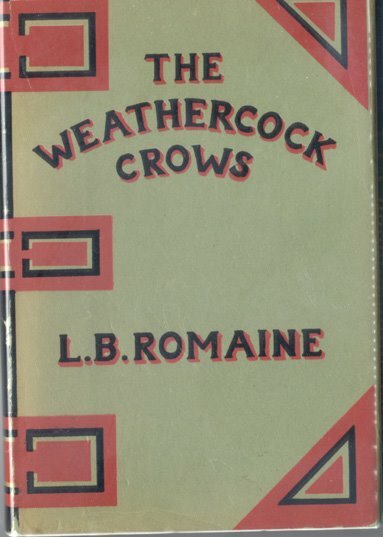 The Weathercock Crows. Romaine, Lawrence B., 1901-1967. North Middleboro, MA: Weathercock House. July, 1955. 102 p., illus., 20 cm. Sketches by Emily Monsarrat. And climb upon your wife’s most cherish chair. Until they drive us to that last long rest.